The order form for the 2019 potato orders is available now. Please complete the forms below and follow the instructions on the form to return them by 1st September 2018. What is the trading store? 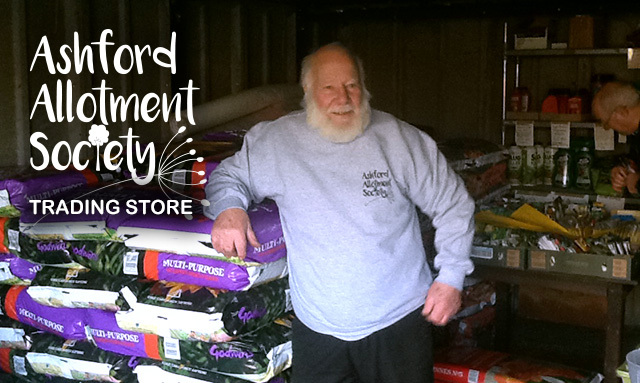 The trading store is a bulk buying cooperative store for allotment holders and members of the general public. You can purchase a huge range of gardening supplies as well as ordering seeds plus seed potatoes for you. Save money on everything you need for your gardening. There is an annual fee of £4 for belonging to the bulk buying scheme. This is because it has to operate as a co-operative ‘club’. 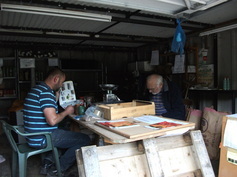 However, the seed shed is open to all local gardeners, not just those with allotments. Where is the trading store? The trading store is located in the car park of Westrees Allotment site on Quantock Drive. Please arrive in good time to ensure being able to get everything you want. The Trading Store is run by volunteers and at busy times there may be a queue. Please note: if the weather is really foul and the Trading Store likely to be very quiet, please make sure you are there well before 1pm, as Geoff will want to pack up early. – The trading store is current out of stock of Potato Fertiliser – more soon. – Doff Greenfly & Blackfly Killer price increased to £4.15 p/L due to supplier price increases.